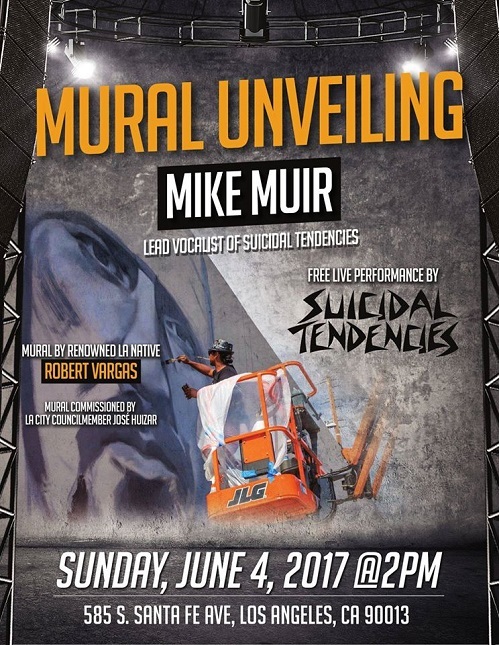 On Sunday, June 4, councilmember José Huizar and Los Angeles-based artist Robert Vargas will unveil a mural of legendary punk rock icon Mike Muir from the group SUICIDAL TENDENCIES. Following the unveiling, Muir and SUICIDAL TENDENCIES will perform a free live show for fans of the band. 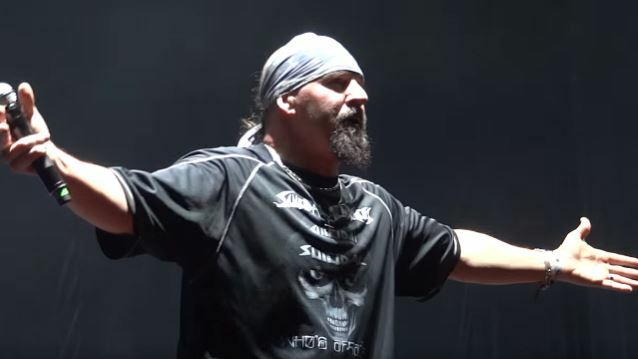 SUICIDAL TENDENCIES' latest album, "World Gone Mad", was released last September. The follow-up to 2013's "13" disc was the band's first to feature former SLAYER drummer Dave Lombardo and guitarist Jeff Pogan, who replaced Nico Santora in May 2016.